Forget theatre in the square; theatre in the round is notorious for inaudible lines and missed nuances. 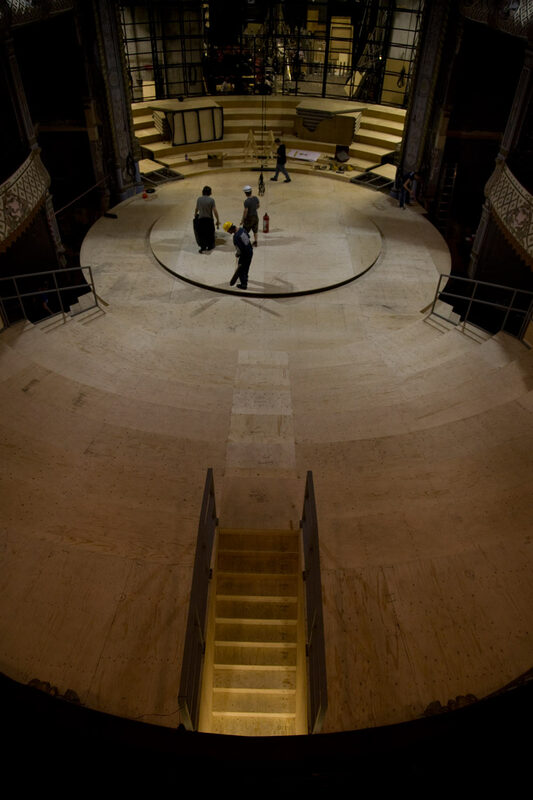 So why transform one of the most beautiful proscenium theatres in London into a round arena? Because when it is done well, the results are stunning. 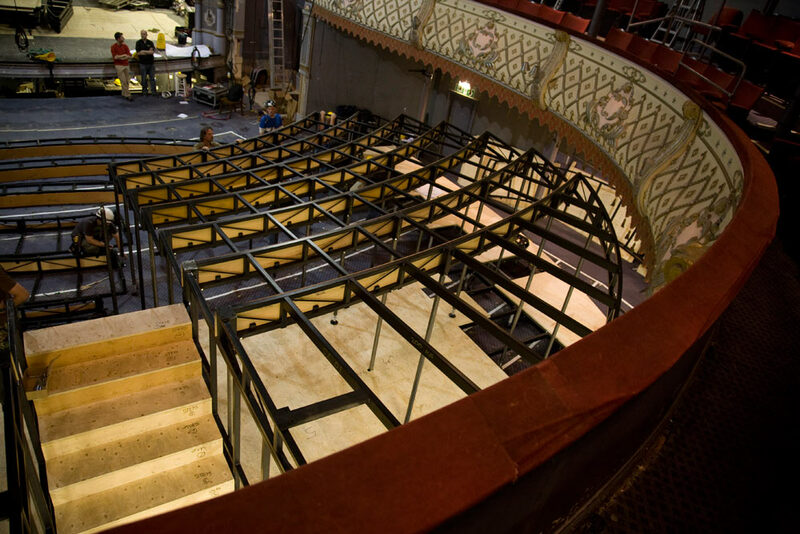 The Old Vic is currently (albeit temporarily) a round venue, in the form of the CQS Space, delighting audiences with its intimate production of The Crucible, a year before Kevin Spacey hands over the Artistic Director role to Mathew Warchus. 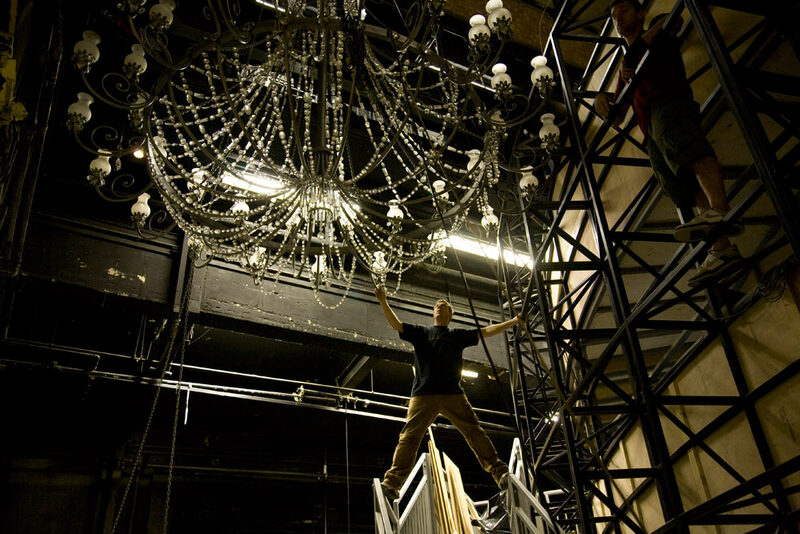 The Old Vic first transformed itself into a round in 2008 for The Norman Conquests. In 2014, they have returned to the format for Other Desert Cities and The Crucible. The transformation in 2008 took 5 weeks. This time, they did it in a mere 19 days. Each saved day is crucial – representing a 0.3% improvement in asset sweat. An idle theatre is a loss-making theatre! See Showbusinessinsights view on entertainment venue asset sweat here. You can see a fascinating time lapse video of the transformation here. 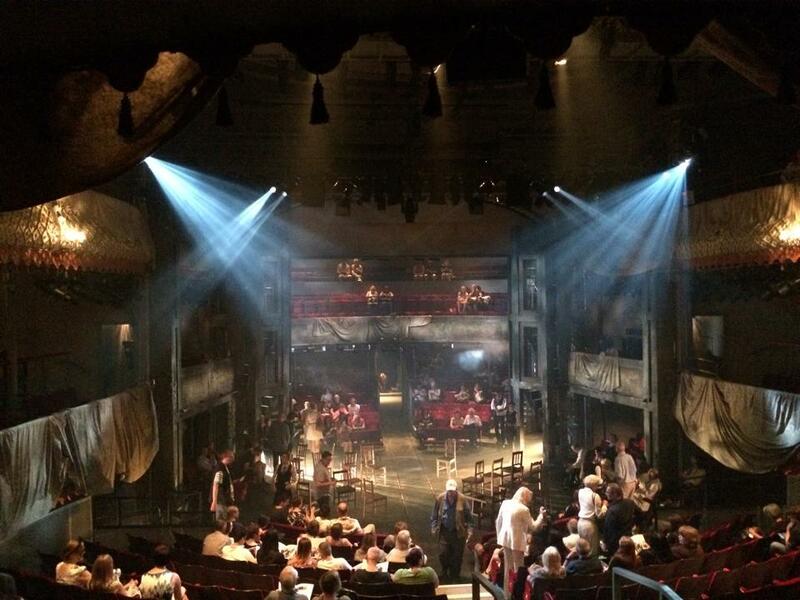 The result is a stunning re-imagining of the Old Vic space and audiences have been highly enthusiastic. 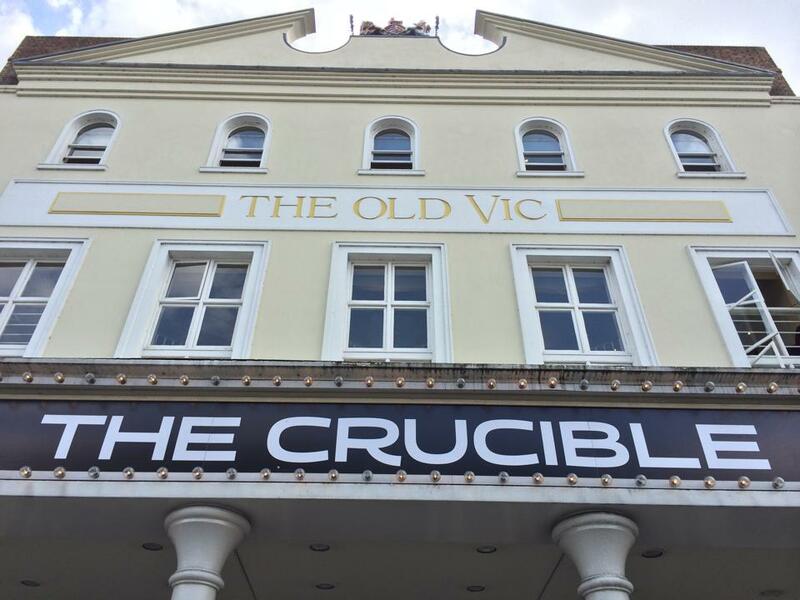 The audience is exceptionally close to the action and the resulting intimacy has contributed to the incredible reviews for The Crucible. Showbusinessinsights looks forward to the CQS becoming a regular visiting feature to this Grande Dame of the London theatre scene. 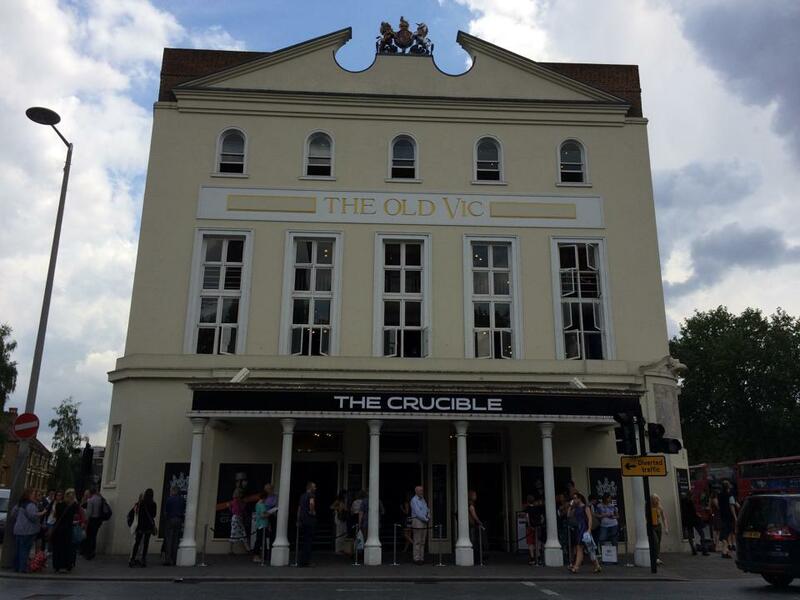 This entry was posted in Theatre and tagged cqs, cqs space, in the round, in the square, kevin spacey, max bialystock, old vic, other desert cities, richard armitage, the crucible, the old vic, the producers, theatre in the round by showbusinessinsights. Bookmark the permalink.